On the most important day of his career so far, first-time author Jared Reck was still assigned to lunch duty, watching eighth grade boys compare armpit hair to see who was first to hit puberty. Although it seemed like an ordinary Tuesday for his students, Reck was on cloud nine. His debut novel, “A Short History of the Girl Next Door,” was being released that day after four years of writing and more than 60 rejections from various agents and publishing houses. On Sept. 26, Reck’s debut novel, “A Short History of the Girl Next Door,” was released in stores and online. 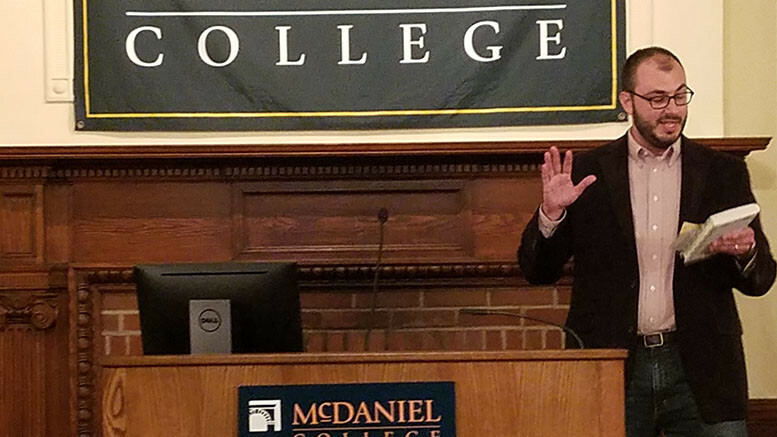 The next day, Reck travelled back to McDaniel to thank members and staff of the Writing for Children and Young Adults graduate program, without whom he would not have found the ending for his story. Reck spoke for over an hour to his captivated audience, detailing the writing and publishing process, as well as his successes and frustrations along the way. “It’s this idea that there’s a really emotional deep connection in specific, ordinary, seemingly insignificant moments in our lives,” said Reck. In his novel, he took this a step further to also include objects that would evoke strong feelings from both his characters and his readers. And Reck is no stranger to the range of human emotions, since the writing and publication process took him on a roller-coaster like never before. “The entire experience was a whirlwind for both of us,” said Laura Crockett, Reck’s agent. He spent over 12 years writing alongside his eighth-grade language arts students during classroom workshops. His students served as his first readers, providing feedback that helped him perfect his characters and plot along the way. “They are willing to be completely honest with you. If you can make a room full of eighth graders laugh, then you know you’re doing okay,” said Reck. Reck and Kerby. Photo by Marya Kuratova. Thus, he decided to take a writing course that would force him to write during the school year. 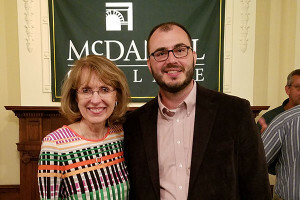 He found and chose McDaniel because he had heard his colleagues speak highly of Mona Kerby, the Chair in Education and Graduate and Professional Studies at McDaniel. Additionally, his father had also studied at McDaniel. Thanks to the courses he took, he finally finished writing during the summer of 2015. Then it was time for a drastic emotional shift as he entered the next stage of becoming an author: seeking an agent. “You’re switching from being submerged in writing and creating into a world of just waiting and worrying,” said Reck. He started querying in July of 2015. After seven long months full of waiting and rejection, he got an offer from agent Laura Crockett. “Personally, that part was probably the most painful of all. I would start getting the first nibbles of ‘yeah let me see the manuscript’ and then I would just go back to waiting. 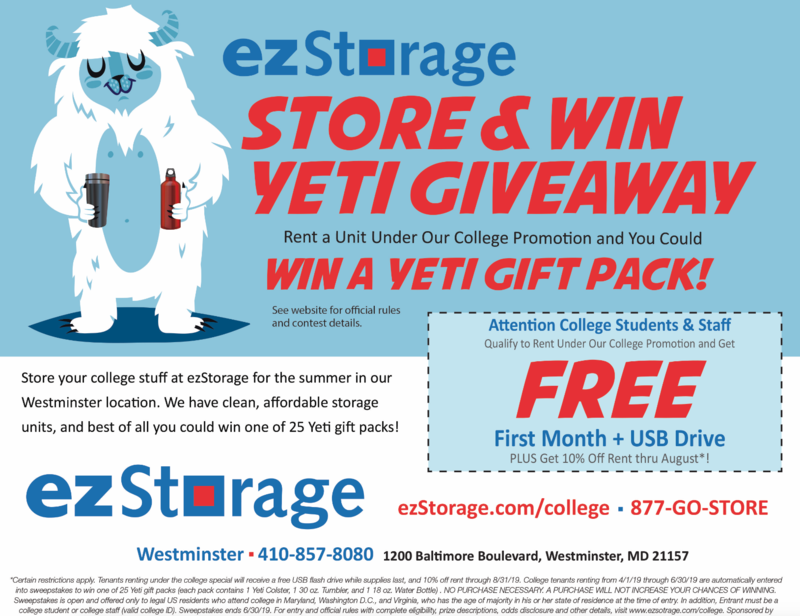 So, I remember just checking my email every 30 seconds,” said Reck. After signing with Crockett, Reck was prepared to wait for “another eternity” before hearing from a publishing company. However, he got extremely lucky; within just two weeks of Crockett sending her pitch to various editors, they got an offer from Alfred A. Knopf Books. The call came on April 1, 2016. Erin Clarke, executive editor at Knopf, offered Reck a six-figure deal. It was almost too good to be true. After several more whirlwind months spent fine-tuning the manuscript with Clarke, the book was finally ready in the fall of 2017. Reck will continue to report to lunch duty as he works on publishing his second book and simultaneously writes his third. “A Short History of the Girl Next Door” is available for purchase both online and from most major book retailers, as well as in McDaniel College’s bookstore.